In the US and many other places, pest control is one of the businesses that are likely to thrive for innumerable years. Verily, you’ll agree that lots of households have been infested by roaches, bedbugs, rats and many other pests. In that case, there is no need emphasizing how profitable a pest control business can be. Pest control is done in several ways and while some exterminators focus on getting rid of domestic pests, many others use certain chemicals in controlling farm pests such as woodpeckers, pigeons, termites, etc. Considering the fact that pests are detrimental to human health, many homeowners in the US and other places are always worried about exterminating the mosquitoes, bedbugs, roaches, and rats infesting their homes. Of course, the widespread of these domestic pests clarifies that anyone can make a substantial profit by rendering pest control services. 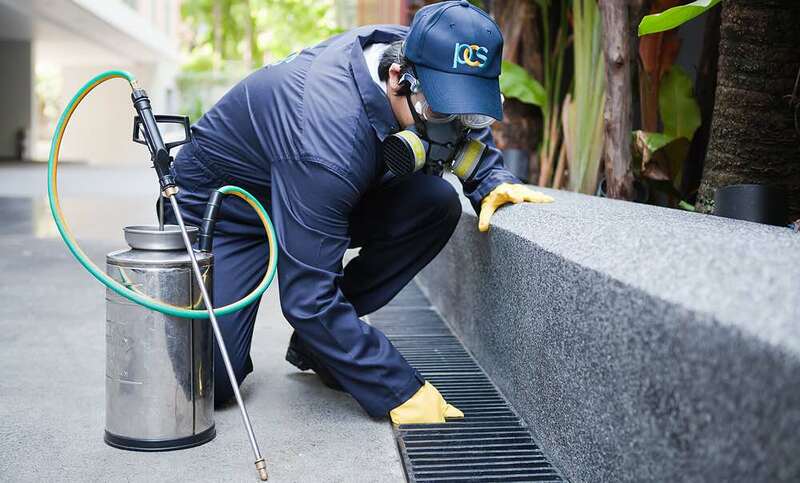 Through this article, you’ll be guided on how to start a pest control business and how to promote the business after setting it up. If you don’t have any experience of how pests are exterminated through the use of pesticides, you may have to work with a pest control company for probably a couple of months before starting your own pest control business. Luckily, professional pest control is not a job that will require a whole lot of months to master. If you’re unable to associate yourself with a pest control company, you can enroll for a relevant vocational class. Also, you can visit the websites of top pest extermination companies to see if they have the instructional contents you need to learn about pest control. It’s very essential that you gain some knowledge of pest control so that you don’t mishandle fumigators and other chemicals used in controlling pests. After gaining adequate knowledge of pest control, you’ll have to estimate your start-up expenses as they may include the cost of purchasing a van/truck for conveying equipment and supplies. The sum of money needed to cover start-up expenses can vary depending on several factors including the amount of equipment and chemicals you wish to purchase. In estimating your start-up expenses, you should also consider the promotional materials you’ll be using for the business and what they are likely to cost. Pest Control is much easier with the right equipment and healthier with the correct protective clothing, especially if you are using harmful chemicals. Obviously, you need a professional document showing how you plan to run your pest control business. Your business plan is a vital document that should comprise your projected costs, how you wish to generate funds, the revenue you expect in return for your estimated expenditure and the marketing strategy you’ll be using for your business. Incorporating all this –as well as certain other important details –in your business plan can go a long way to define what your pest control business is likely to achieve after two to three years of setting it up. If you don’t have enough funds at your disposal, you may have to borrow from friends or relatives in order to cover all the expenses needed to get your business off the ground. Meanwhile, having a well-written business plan can boost your chances of getting support from a financial institution. Licensing is very important not only for pest control business but also for many other businesses. While you intend to start your business with the motive of making a profit, your state government requires you to comply with the rules and regulations guiding your business operation. To prove that you’re ready to operate legally and abide by the rules guiding pest control in your area, you’ll have to obtain a license for your pest control business. Usually, you’ll be required to sit for a test which you must pass to get your business licensed. Getting certified for pest control doesn’t involve much hassle. You can visit the pest control board in your state to obtain important information about certification and find out the requirements for starting a pest control business in your area. To avoid all sorts of duplications that can affect your business’ reputation, you’ll have to secure a trademark for each of your business’ slogan, logo and name. If you don’t do this, you’re likely paving the way for another company to use your slogan, logo or name in promoting its own services. There are laws guiding the use of trademarks and to ensure you are not violating any of these laws, do well to consult an experienced lawyer who should enlighten you about them. Provided you have secured veritable trademarks for your business items –such as logo, brand, and name –you reserve the right to sue any other company using these items. Customers are the source of business patronage and you’re expected to do everything necessary to retain them. You can always maintain close contact with customers by moving from door to door, asking them if they’re in need of fumigation or other pest control services. However, this may seem strenuous especially if you already have a whole lot of customers. Besides the use of mailing lists and social networks in keeping customers engaged, you can speak to your customers over the phone. Advisably, you can have somebody doing this for you but be sure he/she is well informed of pest control business and can respond professionally to customers’ inquiries. In addition to the traditional ways of advertising through word of mouth, business cards, flyers, and handbills, you can boost your marketing efforts by simply taking your pest control business to the online space. Several online mediums –including blogs, websites and social networks –can be used in publicizing your business and capturing dozens of potential clients. Needless to say, your pest control business should have a smart website where prospective customers can read about the pest control services you offer. Moreover, you can advertise your business using PestControlReviews.com, Thumbtack.com and several other relevant sites. ⇒ How much does it cost to start a pest control company? Answer: The average startup ranges between $10,000 and $50,000. This is expected as the Pest control business has huge startup expenses and running costs. Money is initially spent on purchasing equipment. Then, overhead costs ranging from labor costs, office fees and insurance fees to monthly rent and vehicle expenses. It is also necessary to have registered the business. ⇒ How do you get your pest control license? Answer: Requirements vary for different states. However, you have to complete a pest control training program and you will need to pass an exam in order to become licensed as a pest control technician. You also need to have on-the-job experience along with the certification from the licensing body in your state. ⇒ How much do you make in pest control? Answer: The typical pest control business makes $50,000 to $75,000 in the first few years of operation. It all depends on the company’s size, the number of clients and the running costs. You can charge between $100 to $600 for a one-time treatment and up to $1,000 to treat a massive infestation of termites. The service fee will be determined by the size of the property and the extent of the infestation.